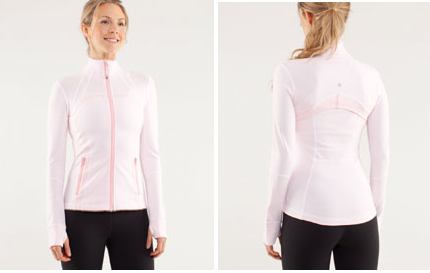 New this week in Australian stores and coming soon to North America is the very pretty Blush Quartz Define Jacket. I hope there is also an April Wee Are From Space version with flash contrasting just like the In Stride Jacket. "The Latest: April WAFS CRB, In Stride Jacket and Every Yogi Tee and Tank in Porcelain Wee Striple"
"In Case You Needed Another Reason.."